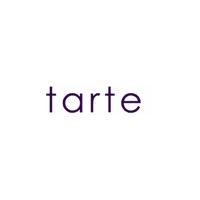 ● Tarte Cosmetics has a Sale page featuring savings as much as 70%. ● Be a part of the Tarte Cosmetics Pretty Perks reward program to get rewarded for every point earned in shopping. By joining you can receive free samples, discounts and even a birthday treat. ● Check out the Promos page in order to access currently available promotions. Examples: free shipping on all orders $40 and up; free sample with every order. Tarte is a cosmetics company that relies mostly on natural products to create their different products. They are generally referred to as a high end makeup manufacturer and their products are available from specific stores such as Sephora. Through their online store you can buy a variety of different makeup and skincare items such as toners, lipsticks, bronzers, foundations, and more. You can find makeup advice and tips when you take a look at their videos page, also, you can browse through their most popular items on the best sellers page. Shoppers that want the most recent products should browse through their newly added inventory. For most up to date offers check out Tarte on Facebook and Twitter or contact Tarte Support for any questions.